With so many enduring steakhouses in Chicago, the city is filled with classic and iconic dishes both old and new. If you’re going to eat your way through the city’s steakhouses, the menus and the task at hand can be a bit overwhelming, which is why we’ve honed in on a few essential menu items at each. 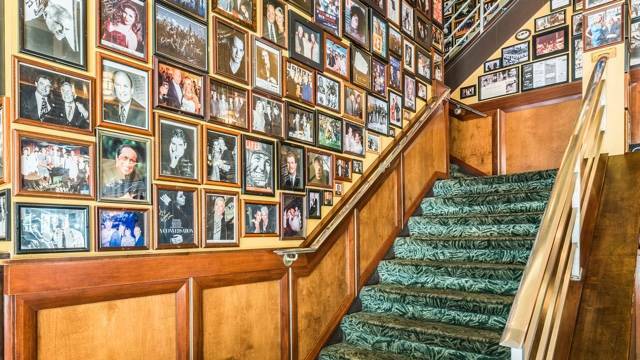 Here is your ultimate bucket list for Chicago steakhouses. Gibsons Bar & Steakhouse: The famed crabmeat-filled avocado is an apt starter, along with a bowl of bookbinder’s soup. If you’re dining at lunch, get the award-winning “sandwich king” of hamburgers, or if you’re there at dinner you can’t go wrong with a bone-in sirloin or T-bone steak. Either way, pair your entree with a dirty martini. 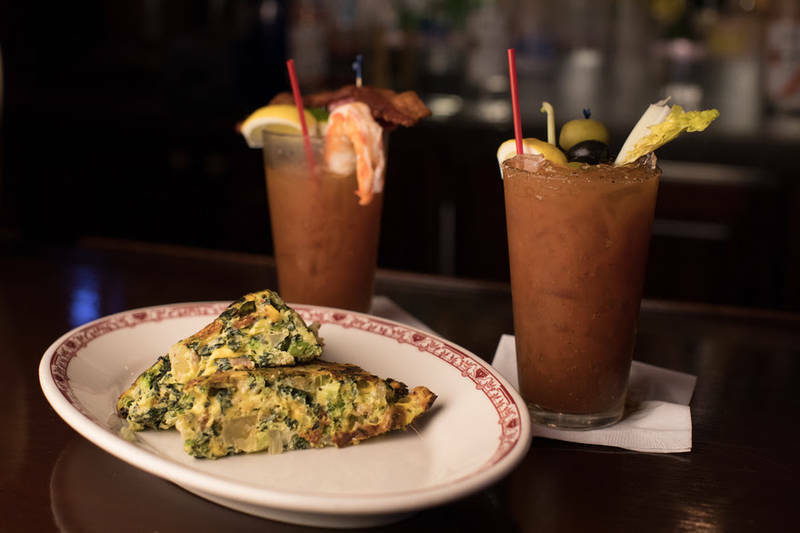 Chicago Chop House: It’s all about the potato pancake here. A blend of shredded potato, eggs, onions, salt and black pepper, griddled and served with sour cream and applesauce, it’s a comforting and hearty addition to any entree. Of all the chop house’s superlative steaks, the boneless NY strip has particular renown, and rightfully so. A wedge of dulce de leche cake is a nice finale. Prime & Provisions: Of all the new-school steakhouses that have popped up in recent years, Prime & Provisions is one that’s certainly making a bold name for itself. 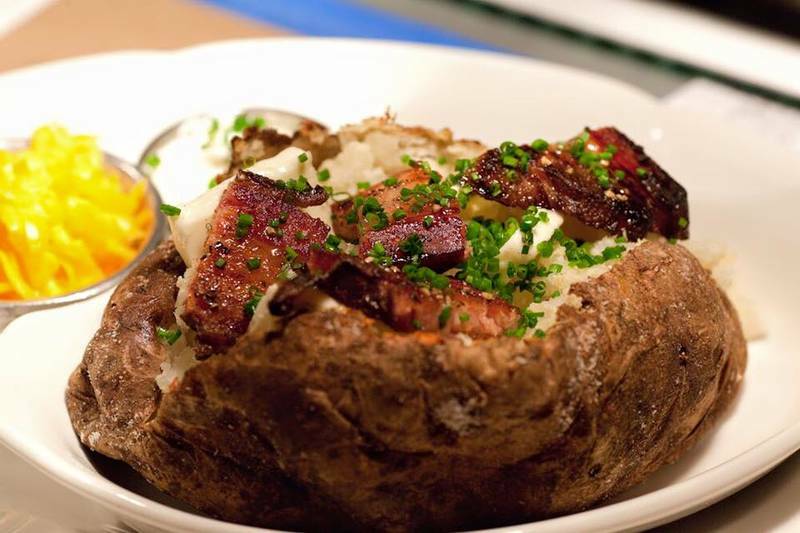 Especially with dishes that think outside the typical steakhouse box. Begin your meal with an order of fried chicken for the table, but be sure and share so that you have room for the dry-aged bone-in Kansas City strip, served sizzling-hot on a 600-degree plate. A side of charred Brussels sprouts or bruleed sweet potato with cajeta butter provide nice contrast, and get the whimsical s’mores for dessert. Mirabella Italian Cuisine: As the name suggests, this Avondale institution has a penchant for Italian fare. That means you’re gonna want to order mussels marinara and chicken lemone. Even steak options skew Italian, with the broiled steak Vesuvio being a particularly delicious example. Harry Caray’s Italian Steakhouse: Another Italian-leaning mainstay, Harry Caray’s wouldn’t be complete without a cup of Italian wedding soup, an order of bracingly fresh tomato bruschetta and some burrata-stuffed mezzaluna pasta with fava beans, grape tomatoes, peas, shallots, pea tendrils and pecorino. Tavern on Rush: Go at lunch to lounge on the patio, drink in the streetscape and indulge in filet mignon sliders, fried lobster skewers and one of the restaurant’s brick oven pizzas. The bacon giardiniera version is a solid choice, available on a gluten-free crust. STK: The “Lil’ Brgs” are as tasty as they are adorable, and they more than live up to the hype. Decadent little sliders, they’re made with Wagyu beef patties and special sauce on sesame seed buns, with optional shaved truffles to supplement. The shaved Brussels sprouts salad, unique to STK’s Chicago location, is a fan favorite as well, made with apples, cranberry, aged goat cheese and Marcona almonds. Don’t miss one of STK’S incredible cocktails as well, like the Not Your Daddy’s Manhattan, which has bourbon, port, Carpano Antica vermouth and bitters. Boeufhaus: Start with the famed short rib beignets and a crudite platter, then pair your 55-day dry-aged rib-eye with bearnaise a side of mustard spaetzle. Joe’s Seafood, Prime Steaks & Stone Crab: As the name suggests, you can’t come here and not partake in a heaping portion of stone crab claws. Followed by a mile-high slice of key lime pie.